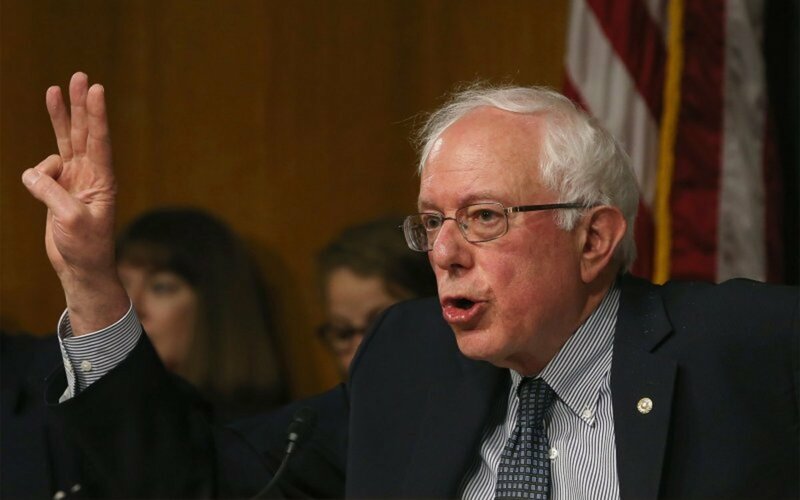 The senator from Vermont is in a unique position to hit Hillary Clinton on a litany of issues. 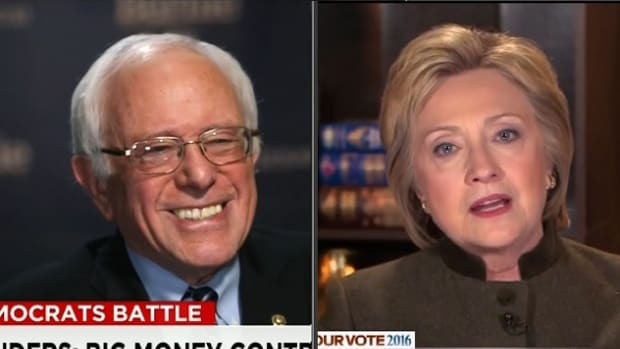 Independent Sen. Bernie Sanders is about to make life very unpleasant for Hillary Clinton as she attempts to moonwalk to the Democratic nomination in 2016. 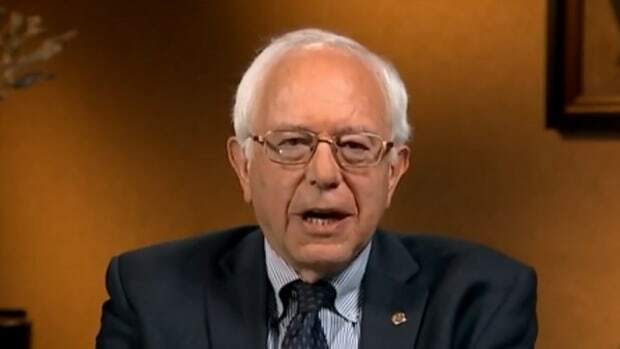 The 73-year-old U.S. senator from Vermont is expected to make his candidacy official on Thursday. A self-described "socialist" who caucuses with the Democrats, Sanders is uniquely qualified to bang away at the center-leftism of Clinton, who in the coming months, believe it or not, will have to explain her positions, past and present. In some ways, Sanders is actually a better candidate to have on a debate stage with Clinton than Sen. Elizabeth Warren (D-Mass. ), who recently said she won&apos;t run. 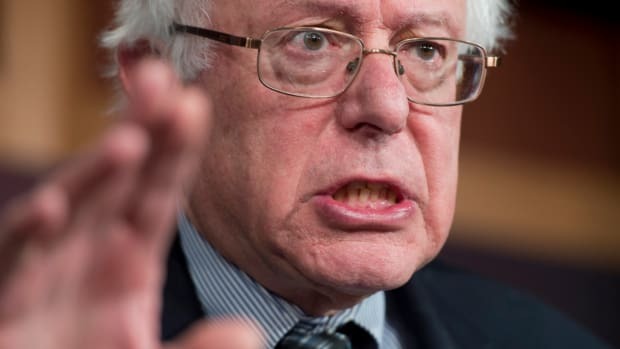 As a grizzled septuagenarian and a 25-year veteran of Congress, Sanders has nothing to lose by launching an all-out attack on Clinton&apos;s liberal cred. Warren, though, is a congressional newbie, and may have aspirations beyond the Senate that could require remaining in the Clintons&apos; good graces. There&apos;s a myriad of issues on which Clinton is vulnerable, and unlike Warren, Sanders has a lengthy voting record that on many key issues stands in stark contrast to the former senator and secretary of State. "[F]or 40 years, the American middle class has been disappearing. Millions of people are working longer hours for lower wages despite a huge increase in technology and productivity. 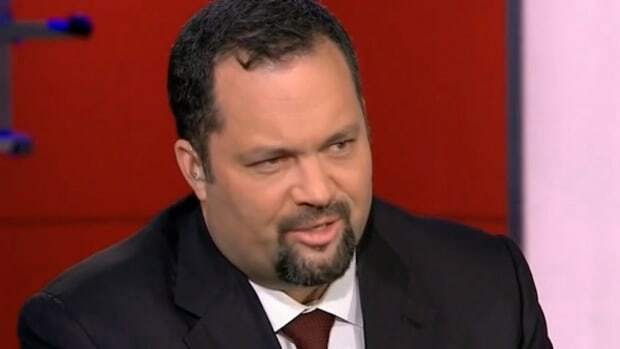 And what we have seen during that period is a massive transfer of trillions of dollars from the middle class to the top one-tenth of 1 percent of America — massive wealth and income inequality, where you have 99 percent of all new income today going to the top 1 percent." Lately, though, Clinton has been tossing more crumbs to Sanders/Warren progressives, recently telling a group of Iowans, for example, "There&apos;s something wrong when hedge fund managers pay lower taxes than nurses or the truckers I saw on I-80 when I was driving here over the last two days." Naturally, this faux populism is a big hit with the Beltway media, which, quite openly, is simultaneously praising it as an effective campaign strategy, while also deeming it to be of little substance. One reason is that Clinton voted for the Emergency Economic Stabilization Act of 2008 (a.k.a. the $700 billion bank bailout), along with 73 other senators. Sen. Sanders voted against it. And while voting for the bailout isn&apos;t necessarily indicative of being pro-big bank, the perception -- nay, the reality -- is that she has very close ties to Wall Street. "According to a wide assortment of bankers and hedge-fund managers I spoke to for this article, Clinton’s rock-solid support on Wall Street is not anything that can be dislodged based on a few seemingly off-the-cuff [populist, anti-bank] comments... &apos;I think people are very excited about Hillary,&apos; says one Wall Street investment professional with close ties to Washington. &apos;Most people in New York on the finance side view her as being very pragmatic. I think they have confidence that she understands how things work and that she’s not a populist.&apos;"
Despite Clinton&apos;s chimerical and perhaps disingenuous pledge to enact serious campaign finance reform -- by constitutional amendment if necessary (good luck with that) -- she will no doubt avail herself of all the means at her disposal when it comes to pooling oceans of campaign cash in which to drown her opponents. One of those means is a guy named Tom Nides -- her former deputy secretary of State -- who&apos;s currently an executive at Morgan Stanley (and whose wife, Virginia Moseley is the Vice President of CNN). According to Politico, Nides "will work in informal ways to be helpful to his former boss, including a major role in raising money." Meanwhile, Sanders might be lucky if he could get a VP at Morgan Stanley to take his call. As he told The Wall Street Journal, “Billionaires do not flock to my campaign,” in what is a top contender for Political Understatement of the Year. Sanders can also land blows on Clinton on national security and foreign affairs. While Clinton was secretary of State for four years and has all of the experience that goes with visiting more than 100 countries, she also made a crucial blunder in voting for the Authorization for Use of Military Force Against Iraq in 2002. Clinton has since admitted that she was wrong to vote for it. Then-Rep. Sanders voted against the bill in the House. In October 2001 -- a month after the September 11 attacks -- the George W. Bush administration rammed the USA PATRIOT Act through a frightened Congress willing to do anything to prevent the next terror strike. Incredibly, the legislation was brought to the floor of the House the same day it was introduced. It passed 357-66, with then-Rep. Sanders voting against it. 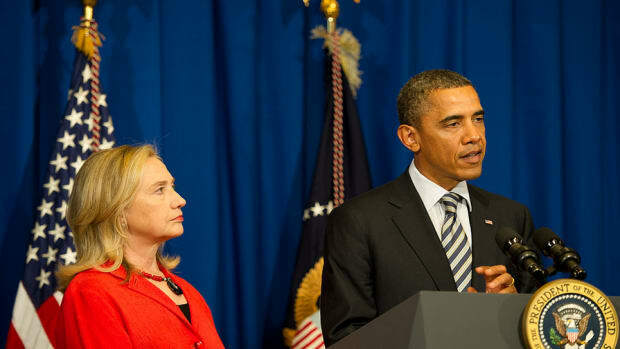 The Senate passed the Patriot Act the next day 98-1, with then-Sen. Clinton joining the herd. She did so again in 2006, voting for its reauthorization. 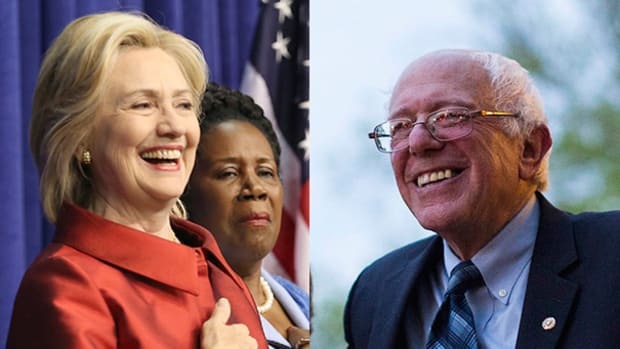 Bernie Sanders joining the race and sharing a debate stage with Hillary Clinton is a very positive development. 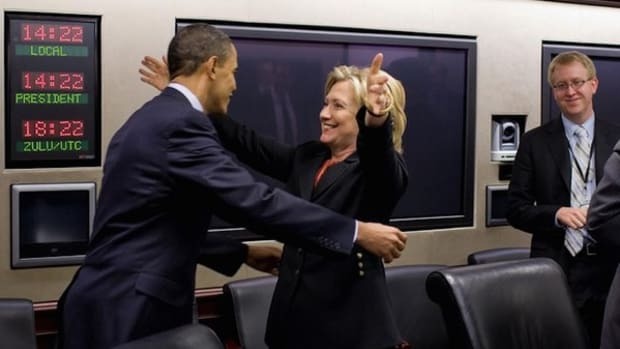 At the very least, it will force Clinton to stake out some truly progressive positions, and maybe even make a few promises she&apos;ll have to deliver on if she becomes president. At the most, we just might have a socialist president.